This is a superbly preserved specimefrom trilobite Order Phacopida, Subfamily Asteropyginae that has dramatic genal and pygidial spines. 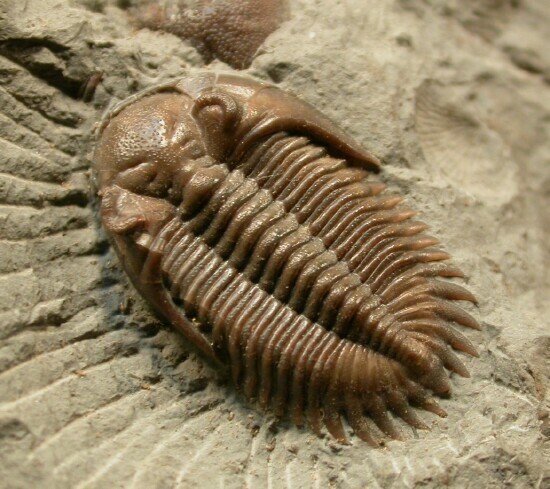 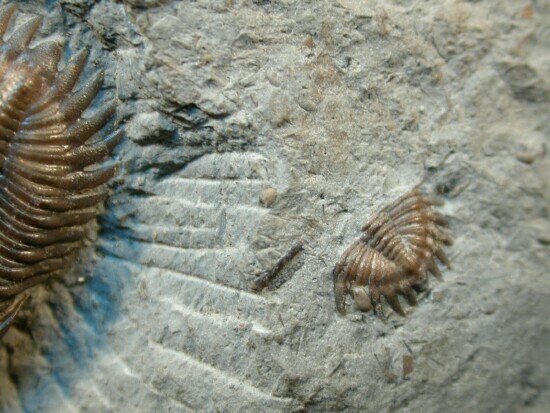 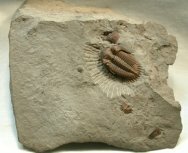 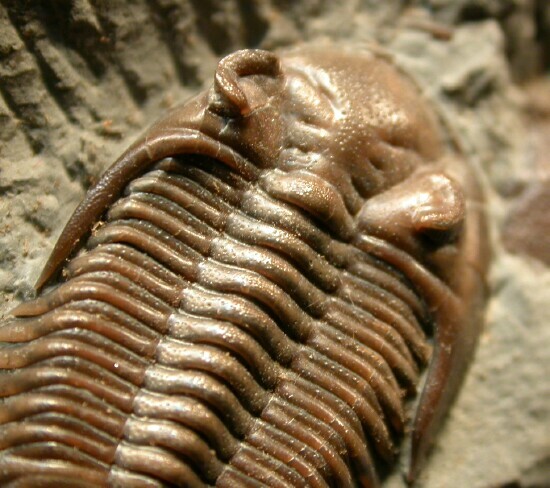 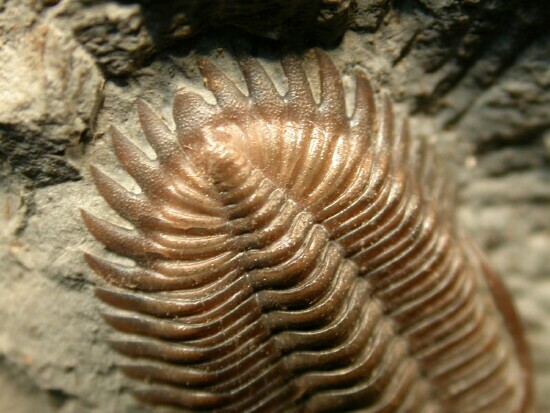 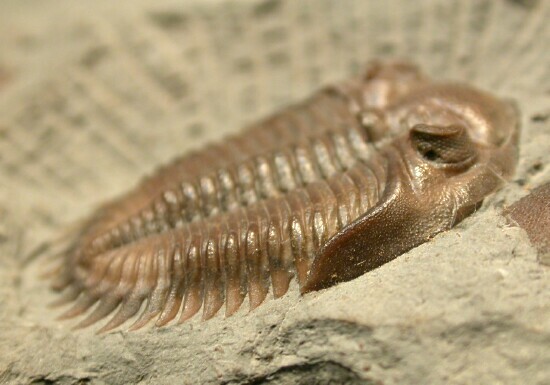 The Asteropyginae trilobites have recently undergone extensive revision, with several members of the genus now placed in the recently-erected genera Bellacartwrightia and Kennacryphaeus. 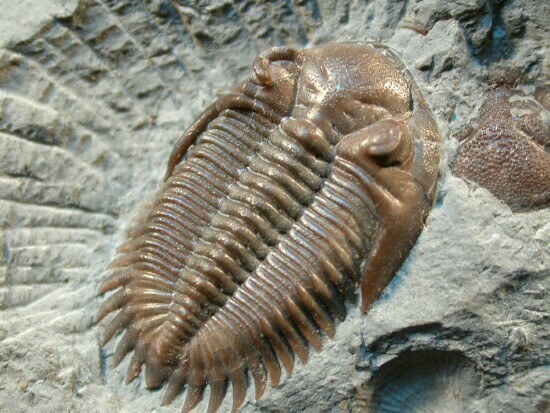 Most are usually found as disarticulated specimens, but this one is quite complete, with fine eye facets and pustules on all parts of the exoskeleton. 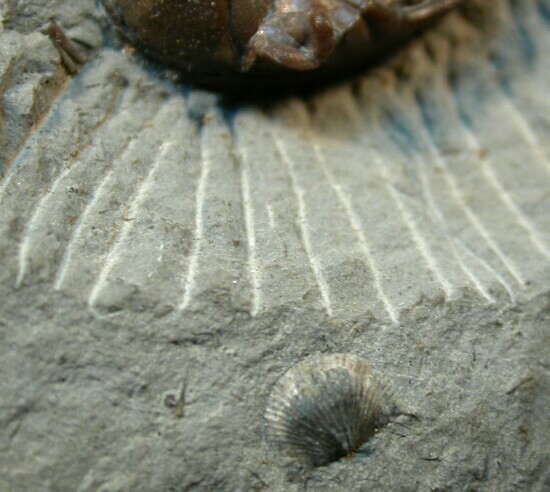 It is surrounded by other “trilo bits”: a partial cranidium and pygidium as well as several brachiopod shells.